Throughout the TLC pictures of Jan McGrath hang in remembrance. The spunky vivacious Quilt Camper lost her battle with cancer in February of this year after being diagnosed at Christmas. The owner of Bits ‘N Pieces Quilt Shop in Crown Point Indiana, Jan came to quilt camp as a vendor, teacher, and participant. 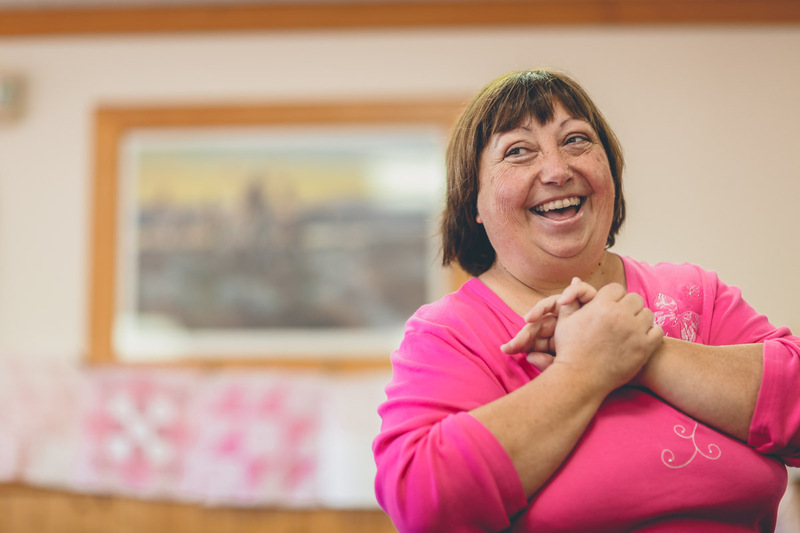 With a joke or up her sleeve at all times, she was the life of the party and adored by her fellow quilters. Tecumseh was Jan’s happy place. When it came time to organize the October Quilt Camp, the community decided something should be done to remember Jan. In addition, something should be done to raise awareness about cancer. 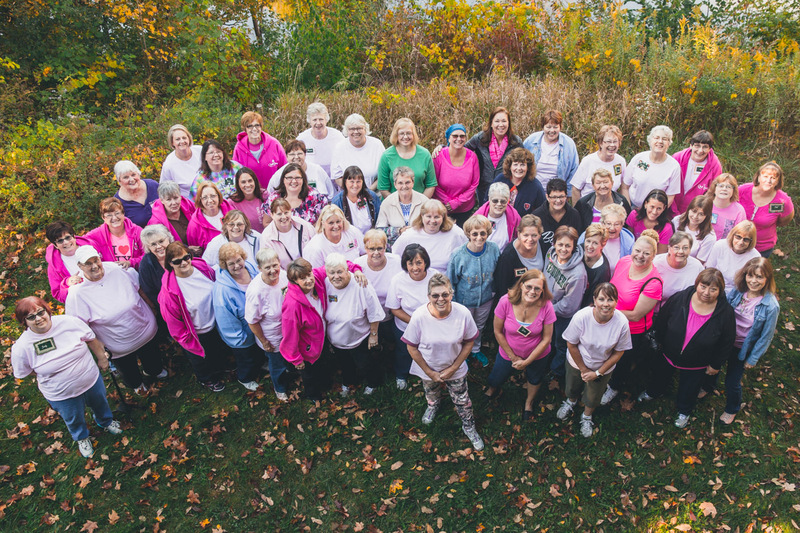 Situated in the heart of breast cancer awareness month, it only made sense to turn the October Quilt Camp 50 shades of pink. 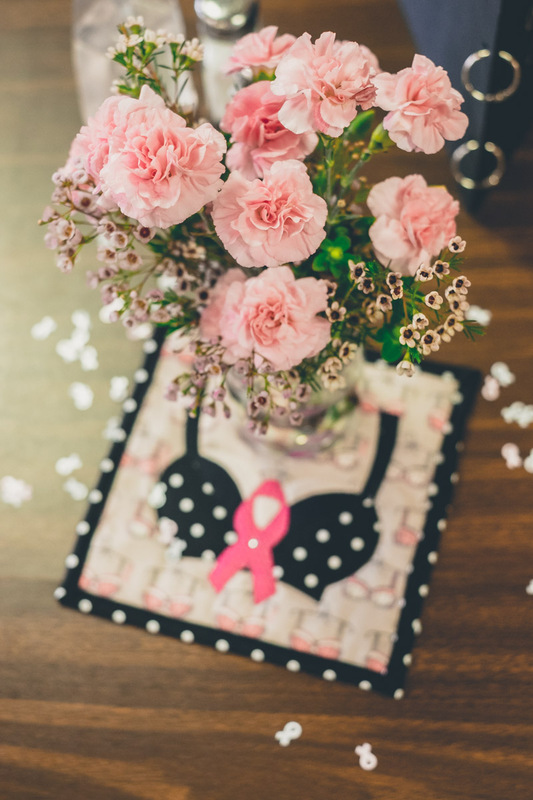 Around the country organizations ranging from fashion magazines, to telecommunications conglomerates, to the NFL don the pink ribbon in support of breast cancer research and awareness. Through the recitation of key stats (Every year 220,000 women in the United States are diagnosed with breast cancer. Breast cancer affects 1 in 8 women. It’s the second leading cause of death among women), and outreach initiatives concerning the importance of screenings, self-exams, and early detection, these efforts, coupled with advances in medicine and technology, are saving lives and moving us closer to a cure. While the October Quilt Camp featured plenty of quilting, special events were set up to honor the occasion. 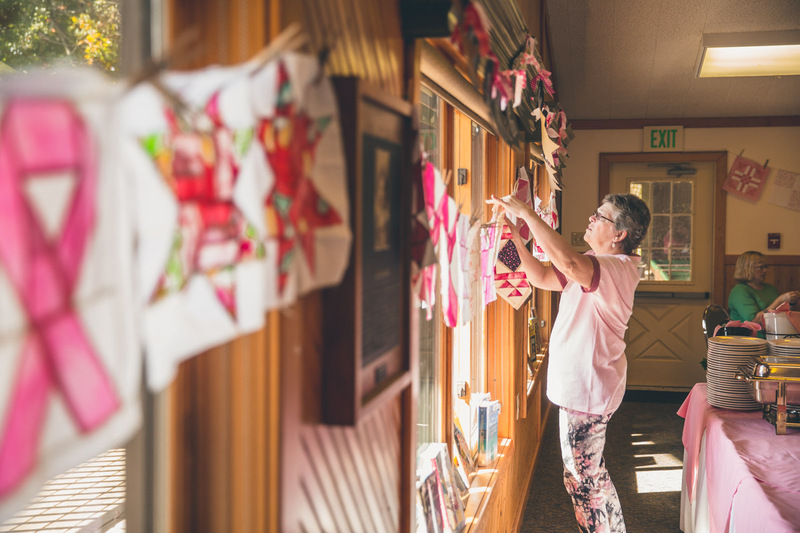 Quilters were encouraged to bring or make 12” quilt blocks that could be sewn into a larger quilt and gifted to those affected by breast cancer. 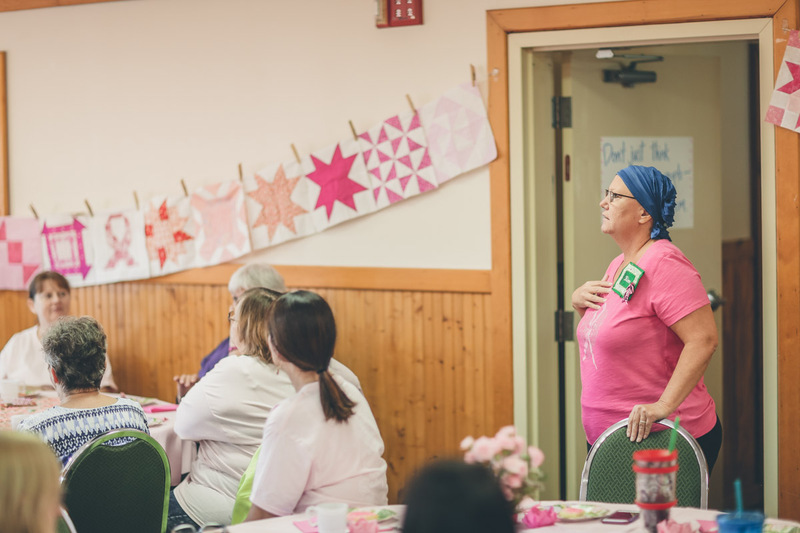 A tea party on Saturday gave quilters the opportunity to share the stories behind the quilt blocks they made, as well as hear strategies and encouragement from those affected by the disease. You can find more pictures from October’s Quilt Camp here.